John Thrasher was 21 years old when he disappeared from Livingston in August 2004. LIVINGSTON, Tenn. — A missing persons case has eluded a small middle Tennessee community for nearly 15 years. "What was he like? He was athletic, tall, he was a good-looking kid," said Charles Thrasher, John Thrasher's older brother. "Pretty much everyone who knew him liked him." One day, Charles got a terrible phone call. His dad told him John had been missing for three days. "He wasn't the type just to disappear," Charles said. Investigators say John Thrasher was last seen on August 14, 2004, at the Putnam County Fair. Charles thinks his brother never even made it there. "I think he was murdered, dumped, buried...stories around here were sinkhole, you know, caves," he said. Rumors swirled in the small community. "He had been hanging around some people that he shouldn't have been hanging around," he said. The Overton County Sheriff's Department investigated each lead. "All those leads and tips have been followed up on to the best of my knowledge," Overton County Sheriff John Garrett said. "None have been fruitful." One lead was fatal. In April 2010, two Overton County deputies were following up on a lead near a sinkhole. 26-year-old Deputy Chad Wesley Pritchard fell and died. 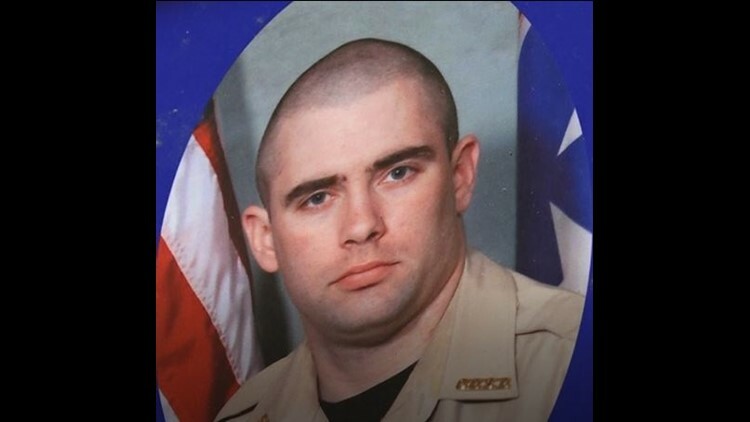 Deputy Chad Wesley Pritchard lost his life while searching for John Thrasher in April 2010. Overton County Sheriff John Garrett says Pritchard is the only deputy to be killed in the line of duty in the county. Garrett said Deputy Pritchard is the only deputy to be killed in the line of duty in Overton County. He said it was devastating to the community and to the Thrasher family. "Because now another young man has lost his life in the search for Mr. Thrasher," Garrett said. "But we continue and will continue to follow up on any and every lead that we possibly get." That's why John Thrasher is listed in NamUs, the National Missing and Unidentified Persons System. For Matthews, the Thrasher case hits home. He grew up with the Thrashers. "We solved some John Wayne Gacy cases, why can't we solve this one," Matthews said. "Why can't we put enough pressure on the community? Somebody knows something about John Matthew Thrasher." Charles Thrasher is hoping that after 15 years, someone comes forward. "Someone telling where he was, you know, having enough of a conscience to come forth and tell where my brother is, so there can be resolution for my family," he said. If you have any information, contact the Overton County Sheriff's Department at 931-823-5635.